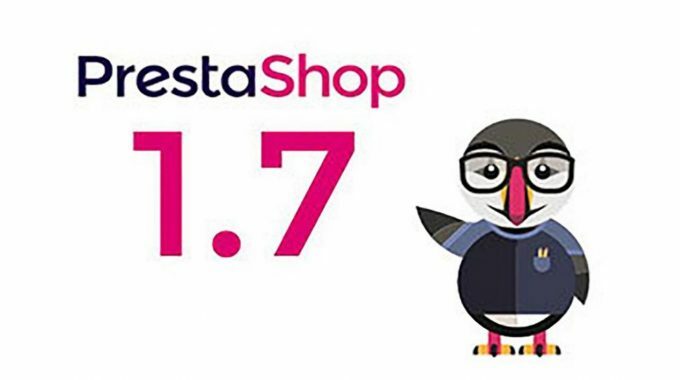 In my previous post “View of Users about PrestaShop New Version 1.7 – Part 1“ I had tried to enlist some new introductions added by PrestaShop in the 1.7 version, and how people have reacted to these changes. This post continues the same where I will be enlisting some more changes and try to compile some more views of the users about the new version. 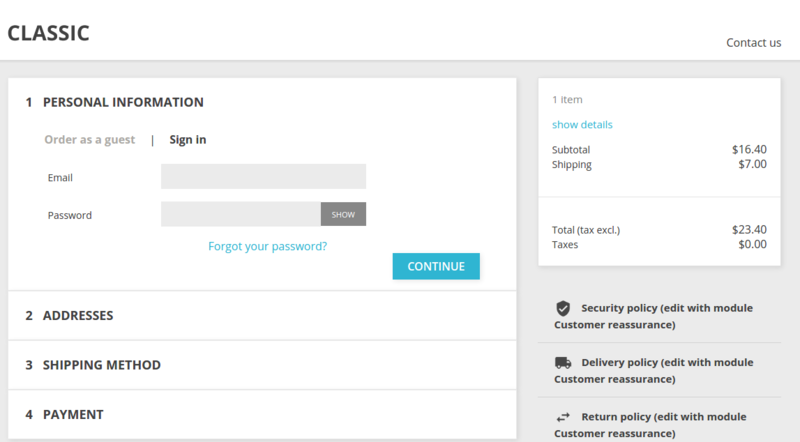 Seriously, the new checkout process in PrestaShop 1.7 has impressed me a lot. From product page to checkout page it is free of distractions. The cart review page before the checkout page makes the actual process clean and quick. They have effectively included the guest checkout option which streamlines the customer information requirement in a single sway. The entire checkout process is quite different from what we have been seeing in the older versions. The process has been split into sections and all the sections are housed on a single page, making it a single page checkout. The most interesting part is if you leave the checkout process in the middle and then come back again, you will be remembered and can continue from where you have left. 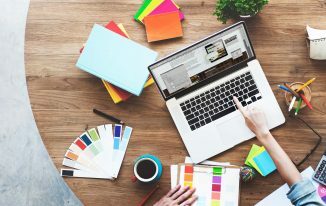 The landing page like structure helps in creating a focused checkout process by removing all the distractions and keeping the checkout isolated from navigations. What users think about the new checkout? – That’s it, there is no final total. The user has pointed out the issue in displaying the order total, where the final order total is missing from the checkout process. It displays the order total by excluding the taxes which is OK, but showing a final order total with every cost included would have been better. You can change the order of the lines in that file and change the labels in Localization > Translations. It is very correct, with PrestaShop discouraging overrides, it is now quite difficult to edit some core functions which was quite easy in PrestaShop 1.6 with overrides. This is a very important reason why I would not like to move to PrestaShop 1.7 yet. Back in PrestaShop 1.6 and earlier versions, a free module named “PrestaShop product comment” was available among official PrestaShop modules. 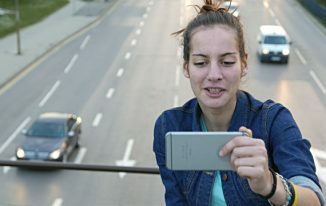 This module is responsible for integrating a product review system. It was quite shocking to find that PrestaShop 1.7 does not include this module now. It’s a quite basic module that is very crucial for the PrestaShop website owners. Without this module, the 1.7 users cannot have a product review system. In our Marketplace module for PrestaShop 1.6, we have utilized the hooks and overrides through this module to enable a review system on the whole marketplace site. However, we had a quite hard experience while making this module compatible with 1.7 because of the missing default module. The most irritating part is, hardly few users have reported this issue. Moreover, when a user reported the issue, there was no reply from PrestaShop. Just look at this thread and you will understand the negligence. emerchandiserph: “I got a wrong decision when I shift from Prestashop 1.6 to Prestashop 1.7, I was not able to have the very basic need in online store. THE PRODUCT COMMENT … huh! READ How to Enhance Your Concentration on Studies? I guess I don’t need to educate you regarding the importance of product reviews for an eCommerce site. I don’t know what PrestaShop has been thinking while omitting this module in the newer version, but it is surely a wrong move that is not being appreciated by any PrestaShop user. Unfortunately, for those who have already moved to the new version and discovered the missing feature late, the only option left is to find a paid third party alternative of the same. Vekia: “I will develop free product comments module based on the default one. it will be ready at the end of the week”. He has provided the following link for his developed solution. I haven’t tested the solution yet, hopefully I will test it very soon and fill you guys in. In the meantime, if you have already tested the module, let me know your experience in the comments. The Symphony2 and Twig framework has impacted the product upload process quite positively. 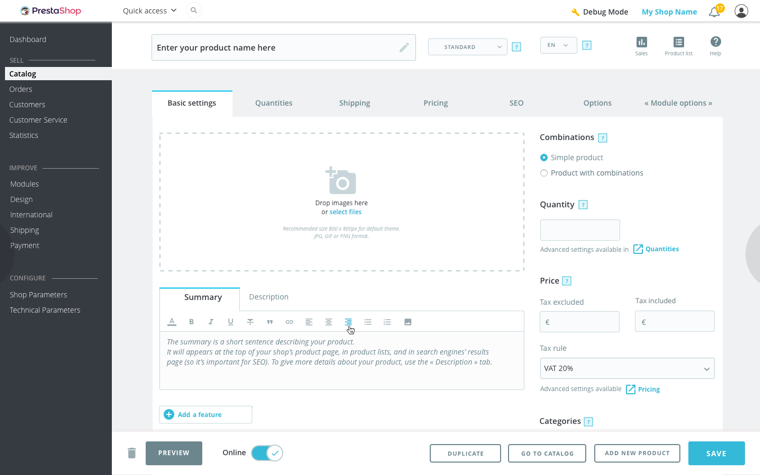 The new interface brings out a brand new way to add products to the catalogue and it’s far better than what we have been doing in older versions. The major work has been done in reducing the number of tabs in the product upload interface. It has been reduced to 6 tabs only from 12 tabs in older versions. Moreover, the tabs organization is quite simple which makes it very user-friendly on the whole. The most interesting part is the inclusion of keyboard shortcuts. Here is the example of few shortcuts being used now. Duplicate (CTRL + D): Used to save the current product and duplicate it. Go to the catalog (CTRL + Q): Used to save the current product and lead to the catalog page. Add new product (CTRL + P): Used to save the current product and creates a new, empty product page. Save (CTRL + S): It will save the product and stay on the current product. Earlier PrestaShop used single ID for each product in the URL. However, in 1.7 version the product URL structured has been changed significantly. Now the products with attributes have 2 IDs in the URL- product ID, and combinations ID. 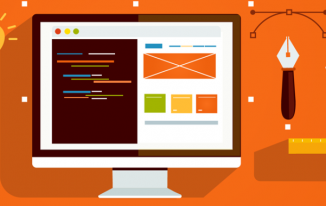 Some developers not feel good about this change in the URL structure and claim that it would make the URLs quite complex and less SEO friendly. Nemo from nemops blog says this on the URL. “I will stick to 1.6 as long as I can.” – MeblujDom.pl, a user who commented on the post about PrestaShop 1.7 on nemops. Hopefully, PrestaShop would come up with a better stability and trust in the upcoming versions and would listen to what actual users have to say about the platform.